I am such a shower gel and cream kind of gal. So it takes a special bar to get me to keep picking it up and these are two soaps that do just that. Not that I should be that surprised seeing as how Odylique hasn't let me down yet. Everything has been top quality! 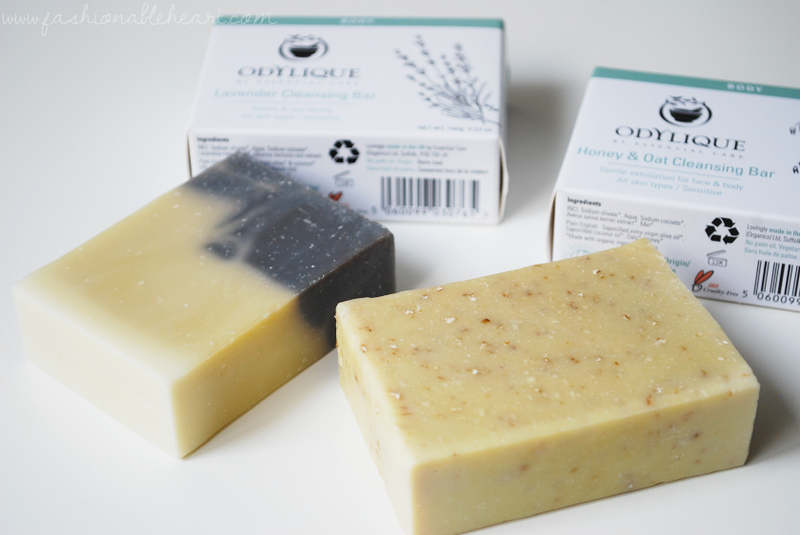 There are four varieties of the cleansing bars: Lavender, Tea Tree & Green Clay, Honey & Oat, and Pure Olive. I knew I wanted lavender, because I say heck yes to all things lavender. It's perfect for night bath and shower takers like myself. And because my dry skin is the bane of my existence, I knew the exfoliating properties of the honey & oat bar was worth a shot. So keep reading to see what I think! These bars are 100% natural and certified organic. The honey and oat one is vegetarian and the lavender one is vegan. The scents are amazing- I smelled them before I even opened the boxes. I often rely on lavender in my bath products to help calm me down before bed. With extra virgin olive oil and coconut oil in the ingredients, there's a nice dose of moisture. And it lathers well. Because these bars are natural, you should let them dry on a soap dish. Having sensitive skin, I can say that I have had no issues with this soap and it is gentle enough for daily use. Like with lavender, I have rarely met a product with oats or honey that I have not enjoyed. Together? Even better! This is very gentle, which I don't always think of when I hear the word "exfoliating". They even say you can use this on the face, but I haven't yet. The lather is decent and my skin feels soft afterward. I do still use other exfoliating products when needed with this, as well as moisturizer. With bugs being out in the warmer weather, I found this to be quite useful when I was itchy from bug bites. It's nice when I find products that don't make my skin red or irritated or give me allergic reactions. These two bars are absolute winners. I can only imagine the two that I haven't tried follow suit! 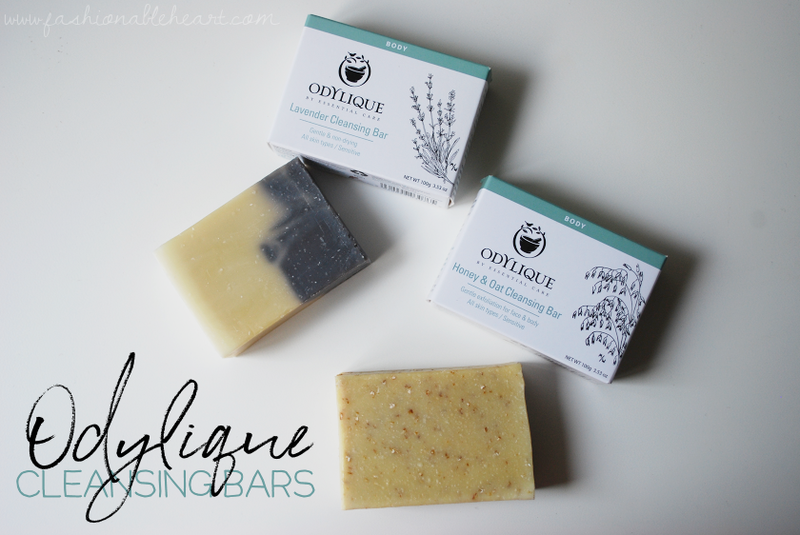 If you have tried any of the cleansing bars (or anything from Odylique! ), let me know what you think of them. The quality is there and the customer service is there. Two very important things I look for! **I was given these products c/o Odylique for reviewing and testing purposes. All pictures and thoughts are my own. There are no affiliate links in this post.